Alyssa and Doug Graham have spent nearly their entire lives exploring music together. Friends since she was 7 and he was 9, they became a couple in their teens, then husband and wife. 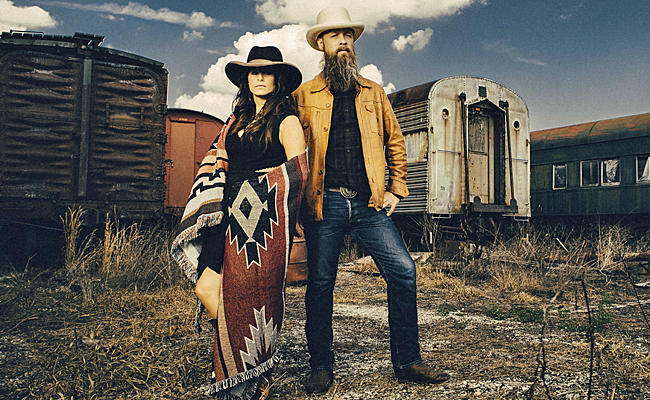 Somewhere along the way, they also became The Grahams, a dynamic Americana duo who’ve married their love of adventure with a desire to build on foundations laid by their musical predecessors. Their first song-crafting expedition, along the Mississippi’s Great River Road, became their 2013 debut, Riverman’s Daughter. For its follow-up, Glory Bound, they rode the rails – and wound up recording not only a studio album, but Rattle The Hocks, a documentary and live album recorded on the move and in venues from Sun Studio to Amtrak’s famed City of New Orleans train. “The Grahams guarantee a good time that captures the rhythms of the past with some cracking vocals and a healthy head of contemporary steam.” Get Ready To Rock!